Introducing the All New PROLUX 2.0 BAGLESS BACKPACK VACUUM PRO! 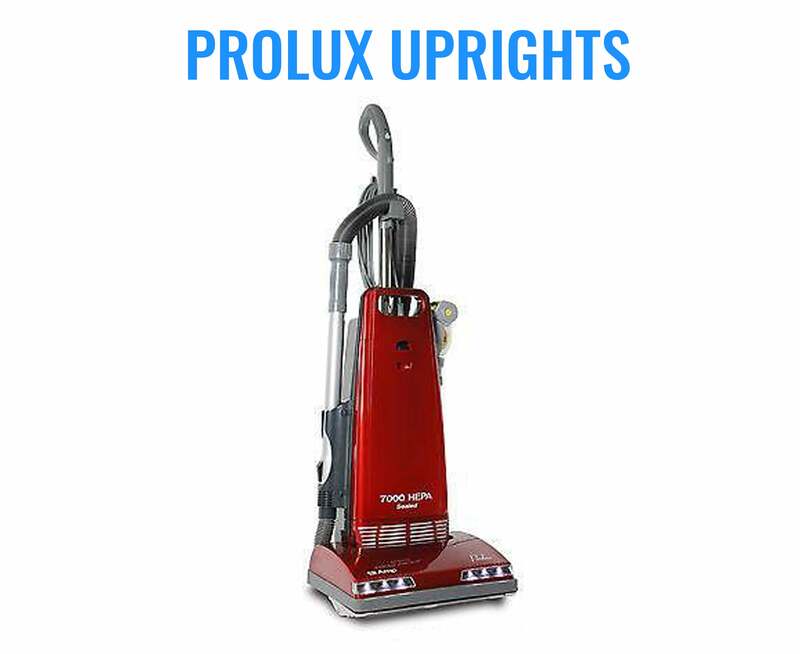 The Prolux 2.0 uses Patented Technology that is revolutionizing the cleaning world! It took the Prolux team of Engineers and Vacuum Experts 3 years to invent the Prolux 2.0 Bagless Backpack. Not only did they have to invent the worlds first bagless backpack vacuum but they had to totally re invent bagless technology! The result is a bagless backpack vacuum that is 40% more efficient than current bagless tech and also qualifies for the toughest commercial cleaning jobs. 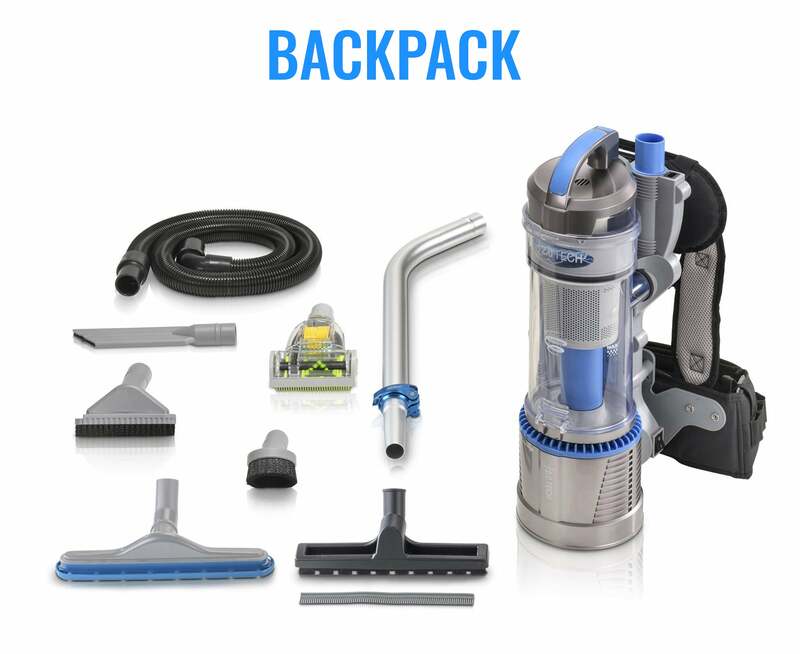 The Prolux 2.0 Bagless Backpack Vac with 2.0 Vortex Technology has been designed for two things; to be incredibly lightweight and to cut your cleaning time in half. The reality is backpack vacuums are 2 - 3 times quicker than using an upright.....BUT they are made for men by men. Current Backpack vacuums are heavy and bulky. One of the lead engineers on the Prolux team is a petite woman and she was insistent that this vacuum be designed to be both lightweight and comfortably worn by anyone. This is why it only weighs 9 lbs and 80% of weight is carried on your hips. That means that less than 1 lb is on each shoulder when worn correctly. News Flash! Your shoulders and back should NEVER hurt when your done vacuuming. You should hardly feel it while your vacuuming and that is how the Prolux 2.0 is designed. The problem with most commercial vacuums today is that they are heavy, tools are difficult to use and they are expensive to maintain. The Prolux 2.0 Pro comes with washable HEPA filters not to mention it eliminates the need to buy bags altogether! The tools are simple to use and as mentioned before...Only 9 pounds! 1.5 inch tool kits and electric power nozzle kits can be used on any Prolux 2.0 2018 model ( besides the battery powered version ). In short the 2.0 solves all the problems that today's commercial vacuums have! Now lets get real and talk about what is wrong with current bagless vacuums. The team at Prolux bought and tested nearly every bagless vacuum made. When tested at Prolux labs the realization was that all bagless vacuums have the same problem. Bagless vacuums do not capture very fine dust. For this reason they use filters (normally horizontal) to catch the debris and over time the fine dust clogs the filters. This causes bagless vacuums cleaning capabilities to decline. This explains why a standard bagless vacuum cleans much better on day 1 than it does a year later. Another issue is that current bagless technology does not offer powerful deep cleaning......until the Prolux 2.0. Prolux had to figure out a way to separate the dust from filters AND have a ton of deep cleaning power. This is why it took Prolux 3 years to reinvent bagless technology. They accomplished this by creating a separate "Vortex Chamber" that forces fine dust away from the filters. Prolux made this "Vortex Chamber" with a clear panel so you can actually see it working. It is very cool and solves the problem that current bagless vacuums have! The amazing thing about the brand new 2.0 Bagless Tech is that its impressive deep cleaning power is the same on year five as it is on day one! A powerful motor that creates 125 CFM of air flow and zero loss of suction design allows the user to clean in one pass (vs forward and back like your used to with other vacuums). 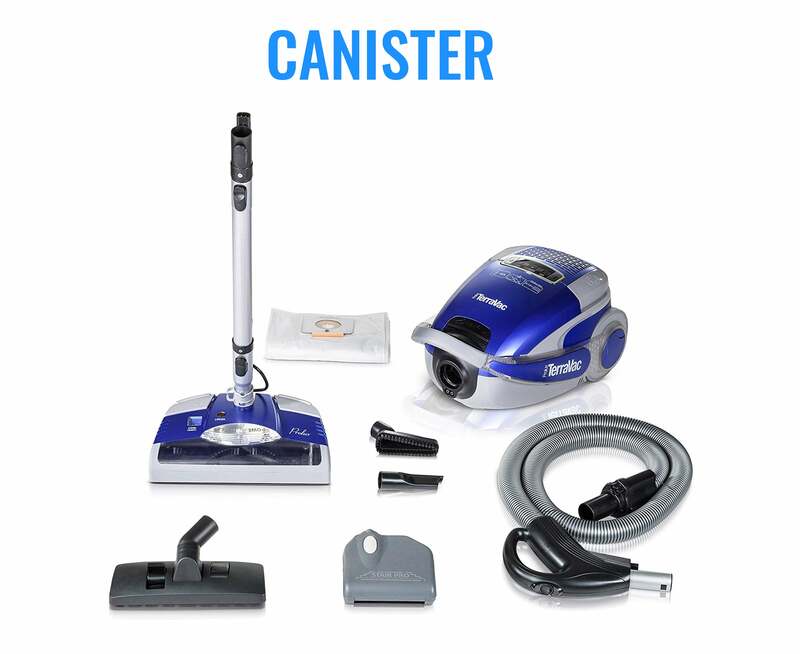 This allows you to clean your home or office much faster and save time! Warranty for house hold use is 5 year motor and 3 year on the body. Warranty for commercial use is 90 days on whole unit. Accessories - The Prolux 2.0 Bagless Backpack Vacuum does not fall short on versatility. This model includes a 1.5 inch Tool Kit that comes with durable aluminum wands and extra wide floor tools to cover even more area. There is also an electric power nozzle tool kit for cleaning even the thickest carpets. Use daily at a martial arts school for one year so far. Easy to clean and use. Great product, powerful suction and very light! We can't get over the suction this thing has. 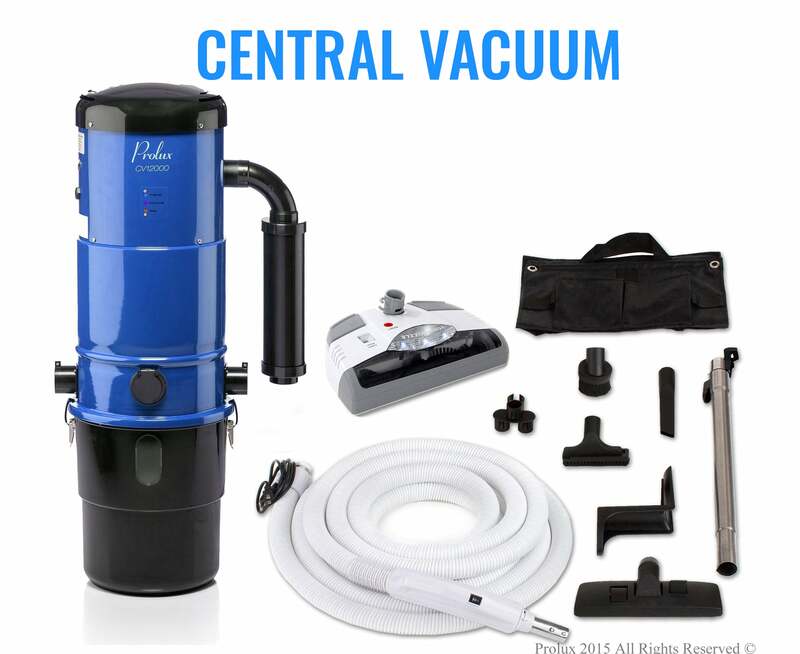 It's well made and very easy to use, Our best vacuum purchase ever!!!! Really love this item, got it a year ago and still use it today. I use it for my cleaning and the suction after all this time is still in very good condition. Definitely recommended.